Createspace Independent Publishing Platform, 9781975921354, 380pp. Akira Hamada is driven by past failure. Two years earlier, she had a chance to kill her greatest enemy-Kaito Mitsui. Instead, the Yakuza boss forced her to become an assassin in his employ. Now Akira carries out the bloody business of the notorious crime syndicate and hates herself more each day. Little does he know that the two are the true targets of the charming Japanese tourist he has just met Akira knows that either Sara or Paul is the killer but doesn't know which one. She hopes seducing the handsome Devon will lead to better intel, but she is surprised to find herself trusting him. And soon, the pair finds themselves fighting for their lives on the high seas. 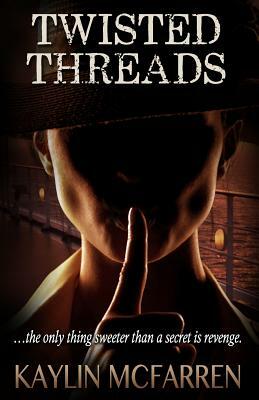 Kaylin McFarren has won over forty national literary awards for her work, including her series of romantic thrillers, Threads. McFarren is particularly proud of the Golden Heart Award nomination she and her daughter, Kristina McMorris, received for their book Flaherty's Crossing. Before McFarren devoted herself to the written word, she worked as the director of a fine art gallery in Portland, Oregon's trendy Pearl District and as a member of the Oregon Arts Commission. McFarren enjoys traveling, doting on her dogs and three grandsons, and working at various charitable organizations. She is currently president of the Soulful Giving Foundation, an Oregon nonprofit supporting cancer research and treatment. For more information about McFarren and her latest books, she invites you to visit her website, www.kaylinmcfarren.com.